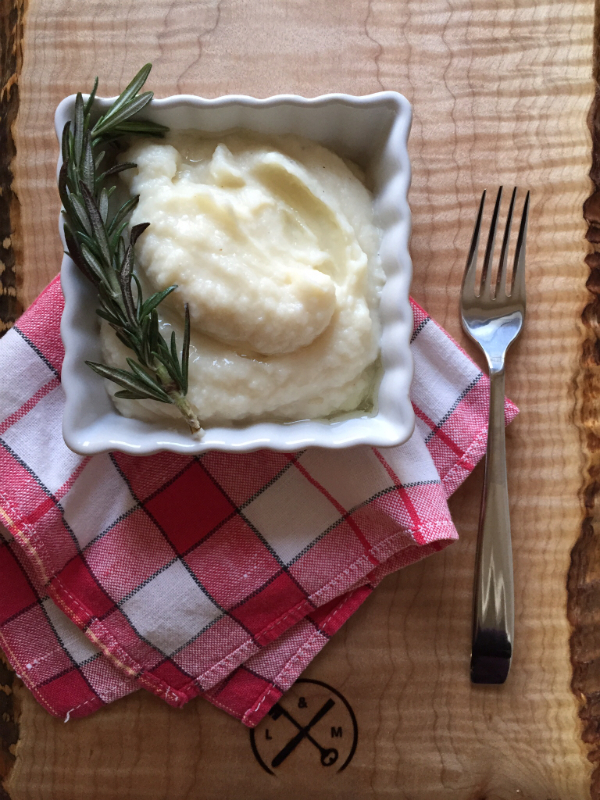 I am always on the lookout for low carb alternatives to mashed potatoes. Don’t get me wrong, I LOVE mashed potatoes, but I may as well staple them to my thighs! Ughhh!! 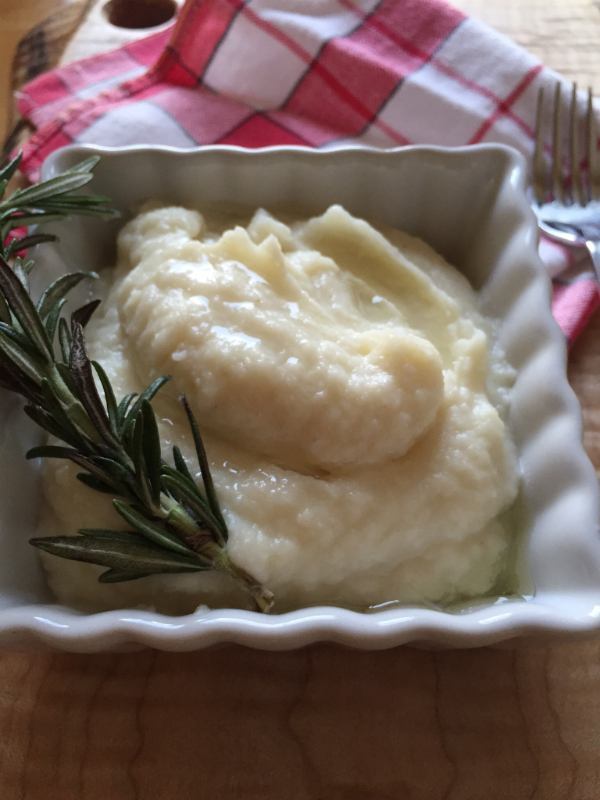 Since getting our Vitamix…ok, I’ll say it again…it’s a game changer…I’ve made celery root puree a few times and each time the fam goes crazy over it! 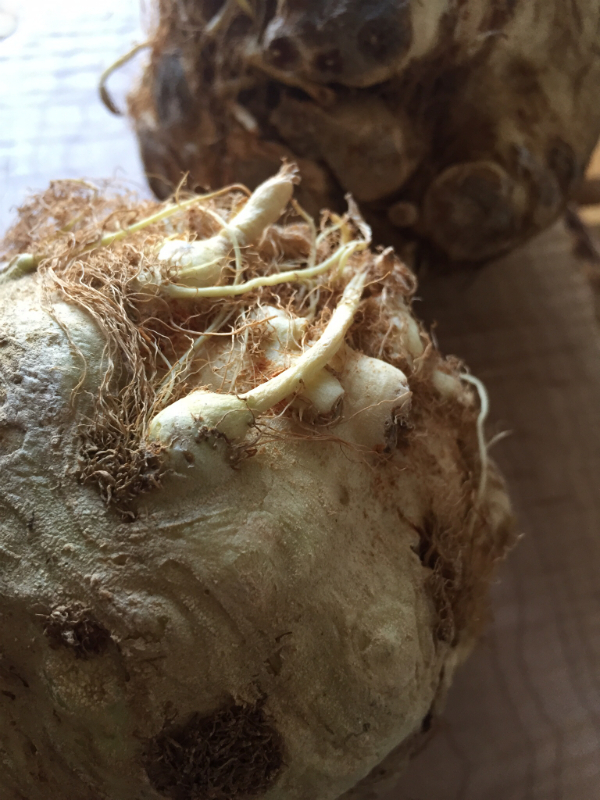 Celery root is also known as celeriac, and you may mistake it for Chewbacca. It’s looks a bit scary and it’s hairy and I can almost guarantee you’ll have tell the grocery clerk what’s in the bag at checkout. It’s a low in starch compared to most root veggies. It really is an under-utilized vegetable. 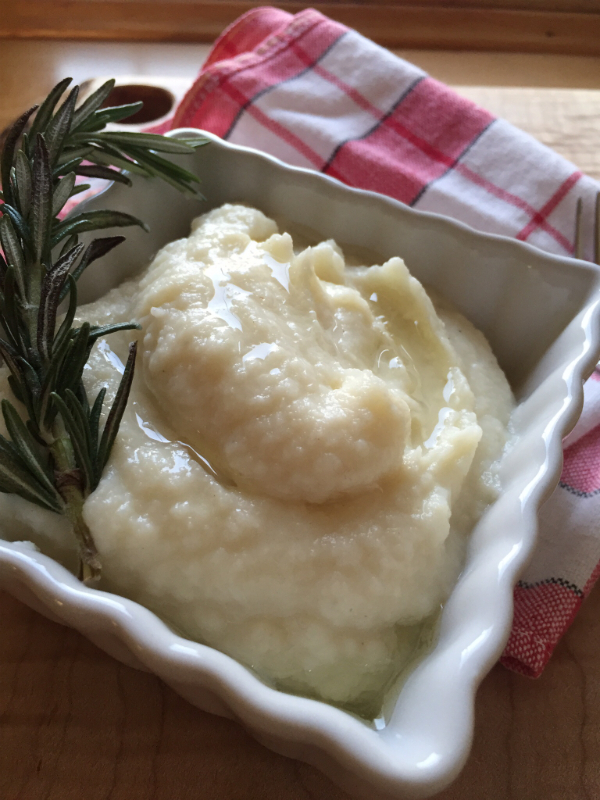 But I can honestly say, once you make this creamy puree once, you’ll be hooked! 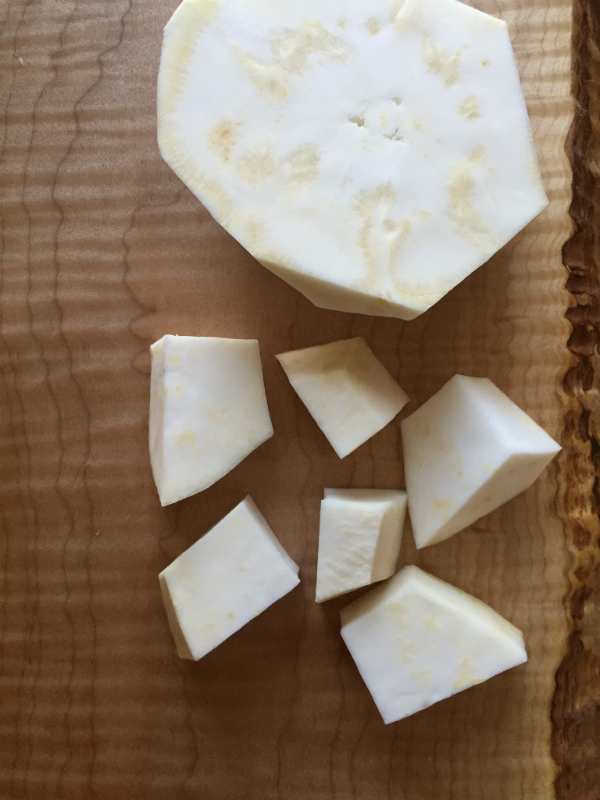 Peel the celery root and cut into 1" cubes. Put into pot, cover with water and bring to a boil. Reduce heat, cover and simmer 12-15 minutes, until celery root is tender. Add salt, pepper, truffle oil olive and yogurt. A few possible substitutions…you can use butter instead of the truffle olive oil if you aren’t a fan. You could also use sour cream in place of the yogurt. I like to make this puree slightly ahead as I don’t like dealing with blending when I’m dealing with the last few deets of the entree and other sides. So you can make it before your other dishes and just keep warm in a pot on the lowest possible setting on your stove and stir often. You don’t want it to burn! If you put it into individual serving dishes, it’s a nice touch to top it off with a little more truffle olive oil.